Thank you for this. I very much like the new look of your blog! Thank you,I hope Tagore feels the same,now that he is in heaven. Thank you.I enjoy translating them.When I first started I wasn’t sure I could do it.It is one thing to know the language,but knowing alone is not sufficient,I had to think hard,there are a lot of Bengalis out there, I had to be careful. Lovely and inspiring, beautiful translation as usual. Thank you for your visit,Akhtar Bhai. Yes I received the message thanks. Thank you so much Mr. Khurram. Beautiful 🙂 Thank you for sharing the words!! Thank you for visiting and enjoying the song. Beautiful. I love the last verse. I recently put a Tagore quote before a poem in a post. silver lining though I couldn’t come close to his words. The lyrics are just so beautiful…. i have fallen in live with this song. amazing. A new friend came to my blog. I paid a visit to her blog and found a post I want to share with you. Please listen to the song, watch video and pay special attention to her translation of the Rabindranath Tagore’s song. All right, I’m ready to listen. Where is the song, is there a link? The song I have taken is sung by Hemanta Mukherjee, the original singer of the song. I like the pictures you’ve posted with the song makes it more appealing. Welcome to my blog and many thanks for your comment. I love Tagore. Always beautiful no matter how times you read it. Thank you for the translation. I love reading Tagore. He speaks the heart of Bengali people at their wisest. Beautiful post! Thank you for sharing this with us dearest Ranu. 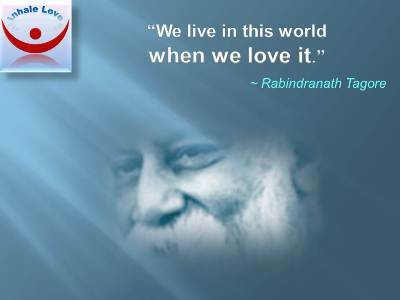 I really love Tagore’s work, it allows us to contemplate on the hidden messages and ponder upon life and all its wisdom! Thank you. This is my favourite rabindrasangeet as well! Your Blog is very Attractive. Good Work. I liked Tagore’s song. Have high respect for The Man. Very sweet poem, telling his followers that “he will be gone, but his poems and songs will stay on forever”. It’s a pleasure to meet you, I love Tagore’s songs, poems and his stories,the whole bit. He is an inspiration for us Bengalis. We grew up singing his song about rain, the weather.